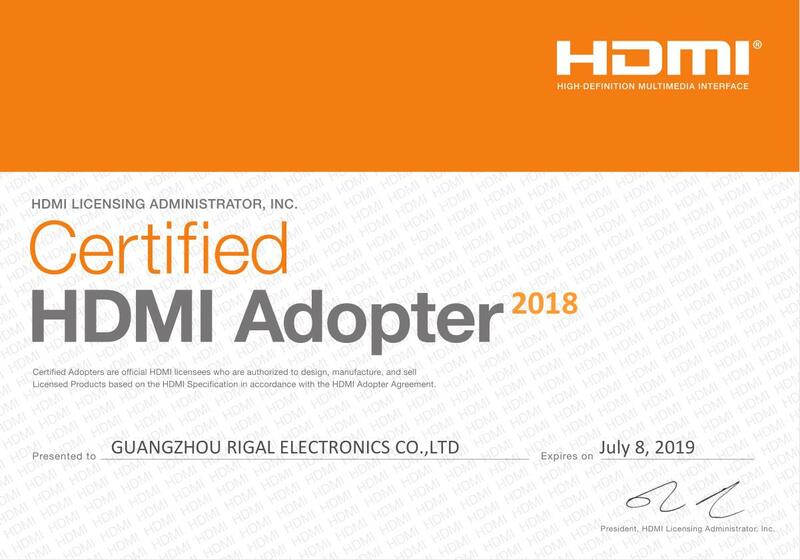 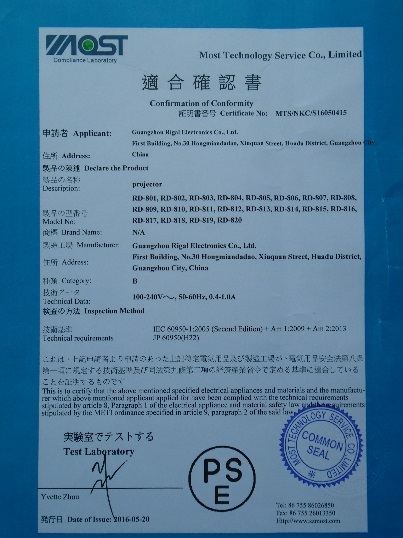 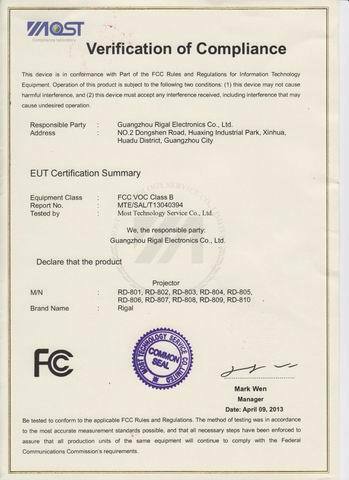 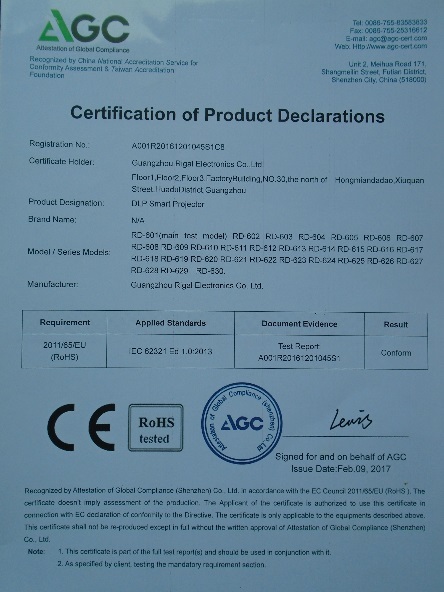 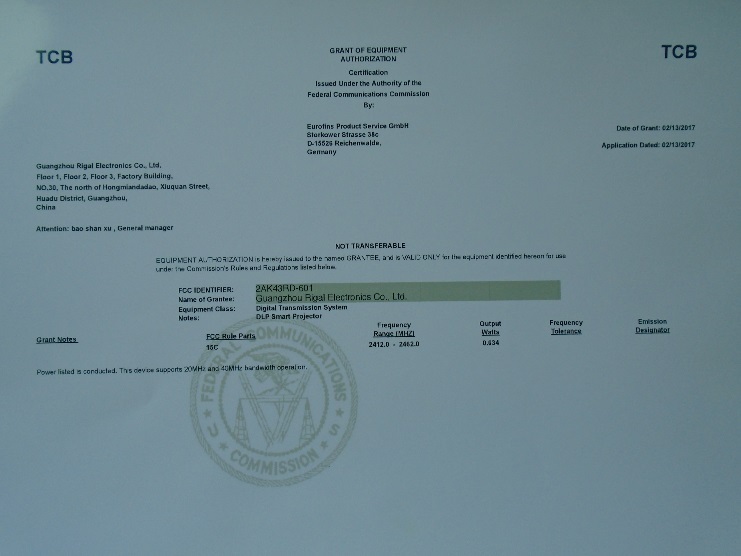 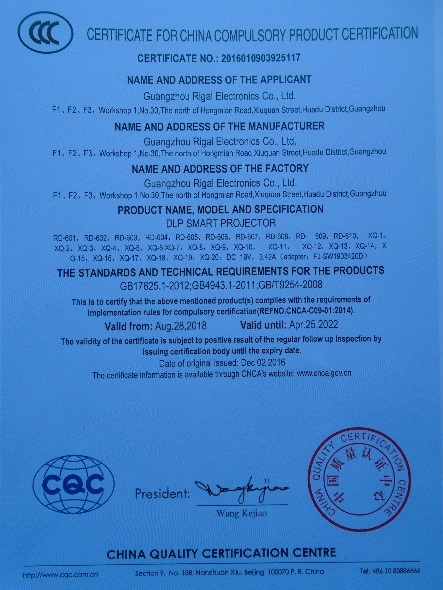 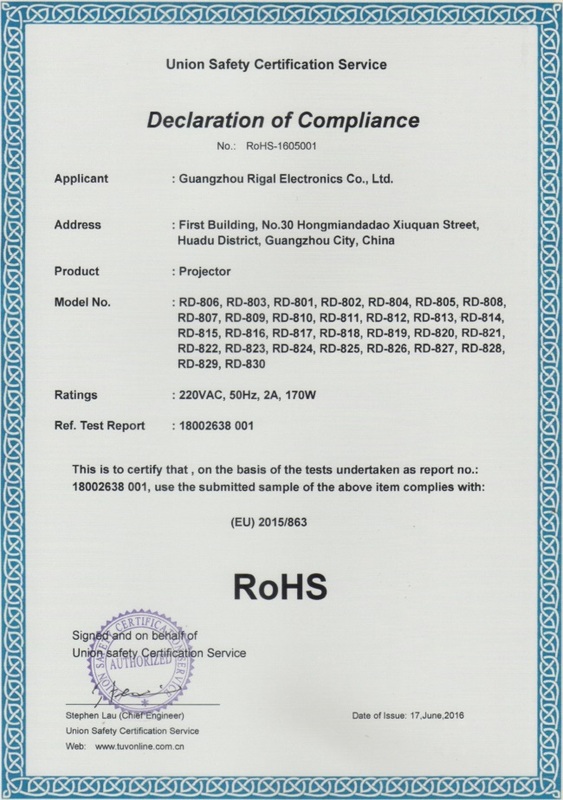 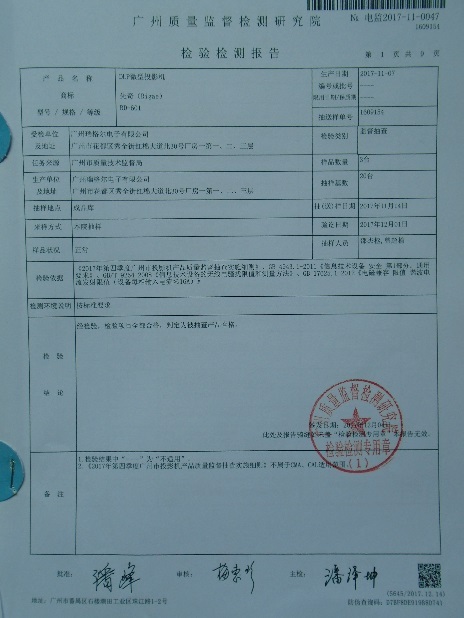 Company Overview - Guangzhou Rigal Electronics Co., Ltd.
7YRSGuangzhou Rigal Electronics Co., Ltd.
Guangzhou Rigal Electronics Co., Ltd. is a manufacturer of projector with well-equipped testing equipment and strong technical force. 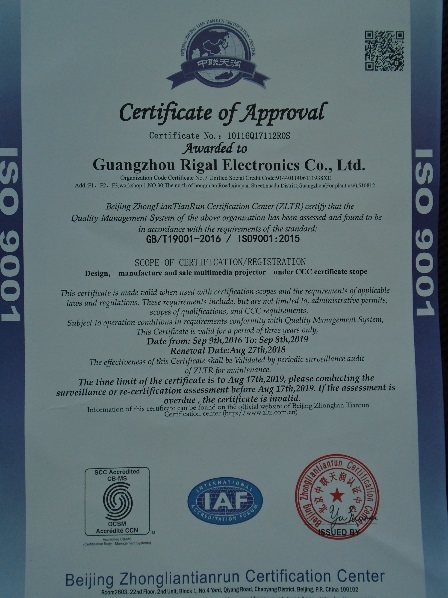 With a wide range, good quality, reasonable prices and stylish designs, our products are extensively used in home theater system, classroom, business presentation and other industries. 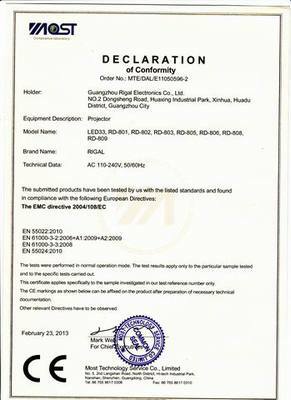 Design, manufacture and sale multimedia projector under CCC certificate scope.